Hi Brett! Do you watch The big bang theory? :))) That Suchomimus is great, but the best Suchomimus is that on the beach on the sand. 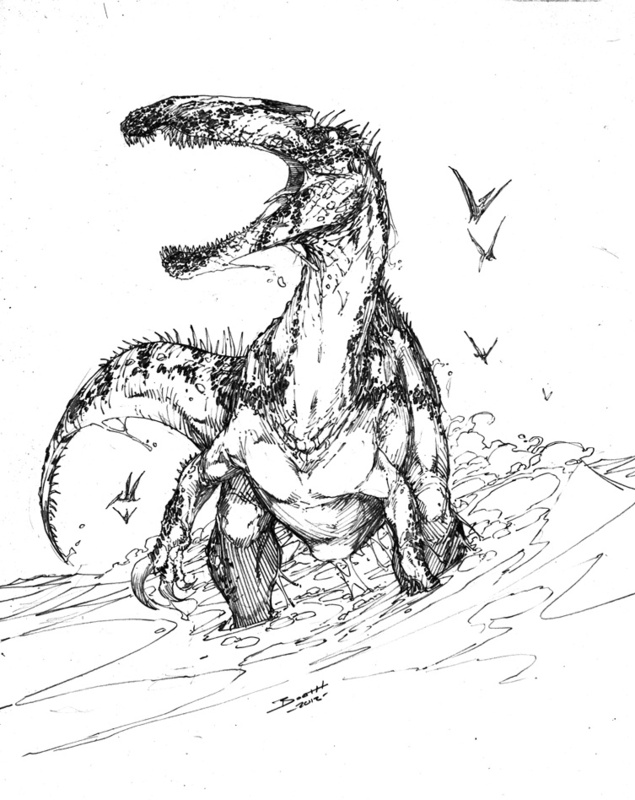 ;) Do you believe that the Suchomimus' scion is a pelican? I do watch TBBT, it's one of my favorite shows. Are you referring to a large dewlap for fish? Maybe, but I have no real opinion on it as far as I know there is no evidence for or against one. Lacusovagus colony and a Shenzoupterus in flight!